Homebrew Releases In Development | Welcome to the Intellivision Revolution! A work in progress of a new shooting style game similar to THRUST. Every time you fill the basket, the speed of the item dropping increases. There are 23 level of speed. Generic Shoot'em Up, improv on the spot. It is a space shoot'em up game. The goal is to complete all 3 of the minigames as fast as possible. 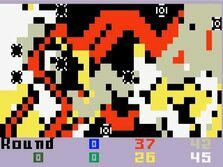 A game inspired by Bob's "SplATTR" game for the spectrum. 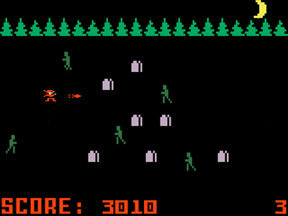 An Intellivision version based on the popular Activision game Laser Blast. An adventure game by Arnauld Chevallier. No gameplay elements ever shown, release unlikely. Colossal Cave Adventure, the text based computer game is in production for the Intellivision. Programming is being done by Valter Prette. This is game project is based on ECS platform. The aim for Dr. Chatterbot is to implement the Eliza artificial intelligence chat system developed in the 1970's . It was the first attempt of providing a computer-human semi-intelligent interaction. A quirky, fun, and interesting game involving celery! This a horror game where a girl named Firegirl has to stop zombies from overtaking her family grave plot. Paint or be painted! You are a professional painter and you must paint your canvas as fast as possible against opponents. Watch for obstacles that might block your path. Move to slow or make a wrong turn and your work will be undone. Is it a game? Is it a joke? Is it Bea Arthur? Nobody knows! One of the most sought after games since Vectron, possibly never coming to an Intellivision near you. 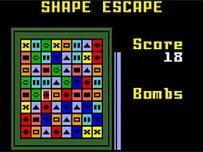 This game started out as a set of programs called DSTAR for the TI graphical calculators by Joe Wingbermuehle and Andrew Von Dollen. The Intellivision version is currently being developed by Atari Age user Catsfolly. A driving game by Arnauld Chevallier. An Intellivision version of the popular game Mr Turtle. Number Blaster, originally programmed on the TI-83+ calculator. Shoot the number to equal the number that is next to it. The round finishes once all the numbers are equipped. A new Pong style game. 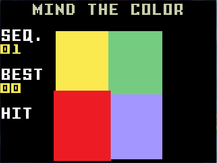 An idea that stemmed from the game Paddle Party, in that game, at a certain point in the menu system, if the player pressed the "8" on the keypad, a bunch of 8's would get drawn to the screen and the player could blow them up. The rescue attempt may take some time to be completed. The planet is very huge and full of color. Alien encounters are to be expected. The Hero will be lucky to make it out alive. After creating Stonix, one of the most successful homebrew games for the Intellivision, Arnauld Chevallier is at it again. Rick Dynamite is a side scrolling action/adventure game. 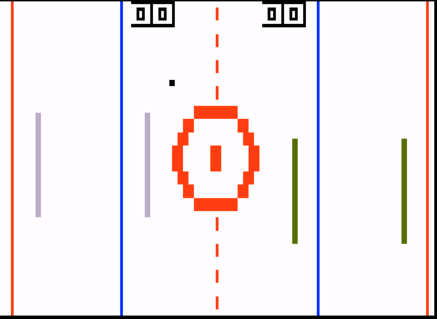 An Intellivision version of the arcade game. The challenge is to match up three tiles of the same shape and color either horizontally or vertically. Intellivision version of the popular game Simon. An Intellivision version of the arcade game SPACE ZAP, a game similar to GORF. This is Stickman! He is in stick-figure land. The mean, evil, and downright rotten Stickvillain has stolen Stickwoman and held her captive. 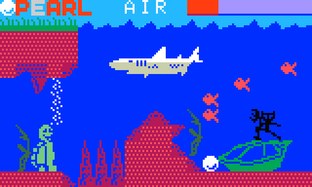 A port of the popular Atari game. 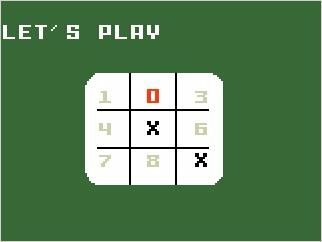 A new turn based tic tac toe game. This game idea is being developed based on Galaxian or similar shooter. 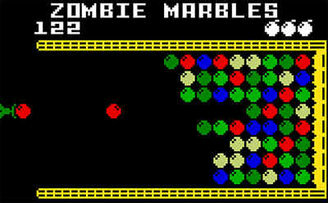 A wall of random colored zombie marbles advances upon you. Use your anti-marble shooter to crush this advancing threat!